Everything in the world is comprised of matter. The three main states of matter are solids, liquids and gases. Chemistry can seem challenging to some children but by using hands-on experiments geared for younger students you can help your child grasp the properties of each state of matter. You can alter states of matter using external variables like temperature. Make your child a tasty treat while teaching him a basic chemistry lesson with this experiment. Using frozen juice, make homemade fruit juice pops and explain the different states of matter during each phase of the experiment. Allow your child to touch and feel as you progress through the steps to learn some of the properties of a solid and liquid. The initial frozen can of juice represents the solid. Once the content of the can mixes with water to make juice the solid turns into a liquid. 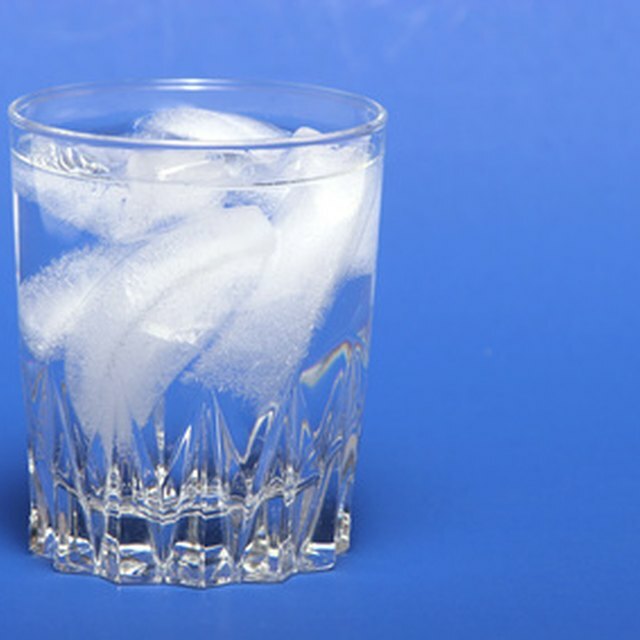 After placing the juice in cups with sticks and freezing, the liquid has returned back to a solid. The freezing, thawing and re-freezing of the juice represents variations in temperatures which affects the state of matter. Teach your child some of the various properties of each state of matter. Place an example of each state of matter in a plastic baggie. Fill the bags with water for liquid, your breath for gas and a pencil or other handy school supply for solid. Allow the children to investigate each bag including the shape, weight and form of the contents. Open the bag of water and pour it into a cup. Identify and describe the physical properties of each state of matter. Point out the invisibility of gases, the changing shape of liquid and the invariability of solids. During the process of making gelatin all three states of matter are revealed. Turn a simple recipe into a tasty science experiment. Begin by pouring water into the kettle to boil. The water represents a liquid. Once the water starts to boil, the heat causes a change in matter to form steam. The steam represents a gas. Finally, mix the prepackaged crystals, representing a solid, with the boiling water to form another liquid. Place the mixture into the fridge until it sets. The change in temperature forms a solid once again. Lee, Crystal. "Experiments on States of Matter for Kids." Sciencing, https://sciencing.com/experiments-states-matter-kids-7788581.html. 13 March 2018.